By following the top five tips listed below, investors can boost their chances of meeting their goals. First and foremost, investors just getting started with Bitcoin need to do their homework. "The more you understand the better off will be," stated Pawel Kuskowski, CEO & co-founder of Coinfirm, a blockchain and regulatory technology firm. He emphasized that "bitcoin offers a unique and rare opportunity, but needs to be treated accordingly." As a result, more than one expert encouraged newcomers to dive into Bitcoin's underlying technology. "If you have any technical bent whatsoever, take 10 minutes to leaf through the original 2008 Satoshi white paper," stated crypto fund manager Jacob Eliosoff. "It's only 8 pages, legible and an inspiring work of genius!" Lucas Geiger, founder and CEO of Wireline, offered similar guidance, stating that investors should be sure to have a strong grasp of the blockchain, the distributed ledger system that underlies all digital currencies. "This may seem obvious, but I think the first thing is take time to understand the blockchain," said Geiger. "I say this strongly, because few people will do this." "If you don't have a high level understanding of how a blockchain stores secure data (such as coins), then you are investing in the equivalent of tulip bulbs," he added. "Find a trusted person or resource that you can engage with to ask questions in order to understand the nuances of your investment in a safe environment," he said. Risk is inherent to investment, and investors should keep in mind that digital currency is in a very early stage of development when compared to similar asset markets like the stock or bond markets. "This is still an extremely high-risk space," emphasized Eliosoff. "Don't invest money you can't afford to lose!" While these considerations can be quite helpful, some experts provided more specific guidance. "Start small, and invest a small portion of your capital," suggested Marshall Swatt, a serial entrepreneur. Tim Enneking, managing director of Crypto Asset Management, offered tips for entering positions. "Don’t chase Bitcoin prices. Decide on a entry point and stick with it," he said. "With Bitcoin, you’re almost always right in terms of foreseeable price action – it’s your timing that might be off. So, be patient, and let the Bitcoin price come to you." Once Bitcoin has reached the right price, Enneking suggested that investors refrain from buying their Bitcoin all at once. Instead, they should "stage in and stage out," meaning they should invest a little at a time, wait for a bit, and then invest some more. Over the last several years, Bitcoin has produced some very impressive gains, and media outlets have developed a steady stream of stories about "Bitcoin millionaires." 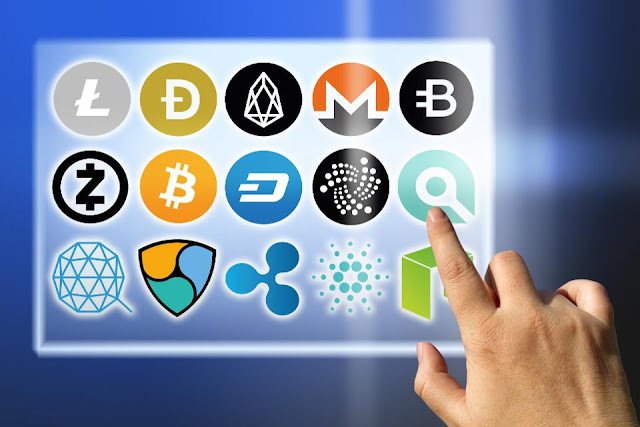 When creating a diversified portfolio, investors could consider altcoins, more traditional assets such as stocks and bonds, or both. The basic idea behind diversification is creating a portfolio where a decline in one component will correspond with an equal gain in another. For example, let's say an investor has a simple portfolio, consisting of equal amounts of Bitcoin, Ether, Litecoin, Ripple and Bitcoin Cash. If one digital currency falls 10%, then ideally, another digital asset will rise by the same amount. Oliver Isaacs, a tech entrepreneur, emphasized that if an investor set up a diversified crypto portfolio and Bitcoin's price suddenly fell to $0, they would still be able to invest because their altcoins would still have value. "Hedge Against Volatility and don’t put all of your eggs in one basket," he stated. "Much like investing in the stock market or FX, you should diversify your funds as a risk management technique." When picking out altcoins to incorporate into portfolios, investors need to be careful, emphasized Robin Bloor, senior VP of strategy & communications for software provider Algebraix Data. "There are a vast number of other active cryptocurrencies (hundreds)," he noted. "Remember that most of them can be thought of as start-ups and most start-ups fail. As a result, conducting thorough due diligence is crucial, stressed Bloor. "You need to research the business model in detail for any coin or token you are considering and then carry out due diligence - in terms of current funding, pedigree of the leadership team, original technology, marketing plans, product plans, product maturity and so on," he stated. While exchanges are a great place to purchase digital currencies, they may not be the best place to hold such assets. "Don't store coins on an exchange," emphasized Eliosoff. "In Bitcoin's short history many, many exchanges have gotten hacked," he noted. "It's fine to buy on an exchange like Coinbase, but then move your coins into an online wallet like https://blockchain.info/wallet/, a mobile wallet like Jaxx or Coinomi, or create a paper wallet - all free and pretty easy," said Eliosoff. Investors can take further action to manage risk by using both hot wallets (online) and cold wallets (offline), emphasized Matthew Unger, founder and CEO of iComply Investor Services inc.
"Just like you keep some cash in your wallet, some in your bank account and perhaps the really valuable stuff in a safe, you need to manage digital currencies in the same way," he stated. One strategy, diversification, is covered earlier in the article. Another strategy, buy and hold, has been advocated by a great many financial gurus, including legendary investor Warren Buffett. "Buy-&-forget is the right strategy for most investors," stated Eliosoff. "Resist the temptation to make short-term bets, to 'sell at the top', to get in at the cheapest price," he said. "Most people who try this stuff underperform simple buy-&-hold." Gavin Yeung, founder and CEO of digital asset management firm Cryptomover, offered a similar point of view. "We at Cryptomover believes that a passive investment style will outperform active strategies in the long term," he stated. "Not only is passive investing inexpensive and simple, it also lowers trading fees leading to much lower operating expenses."